7-year-old Calen Collins from Dover has unfortunately been diagnosed with Batten Disease, a degenerative neurological disease that takes lives at a very early age. 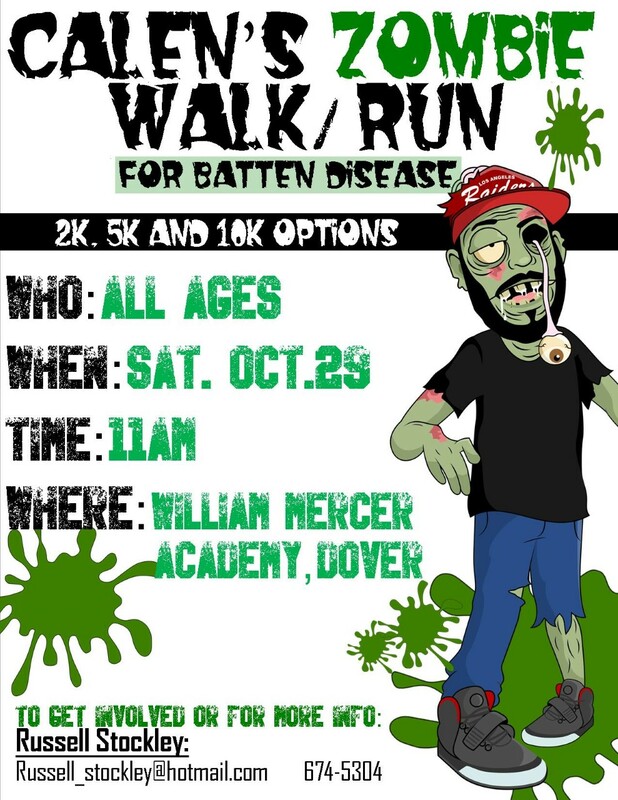 On Saturday October 29 friends are organizing Calen's Zombie Run For Batten Disease at William Mercer Academy in Dover starting 11am. 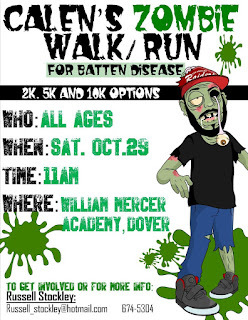 Participants are encouraged to dress as zombies and run or walk their choice of 2k, 5k or 10k. Donations will be collected and all funds raised will support Calen and his family as they deal with travel and medical treatment. 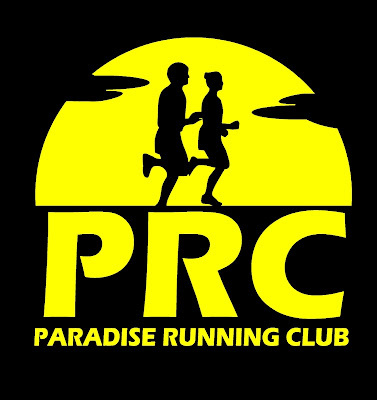 For more information or to make a donation please contact Russell Stockley by email russell_stockley@hotmail.com or phone 709-674-5304.